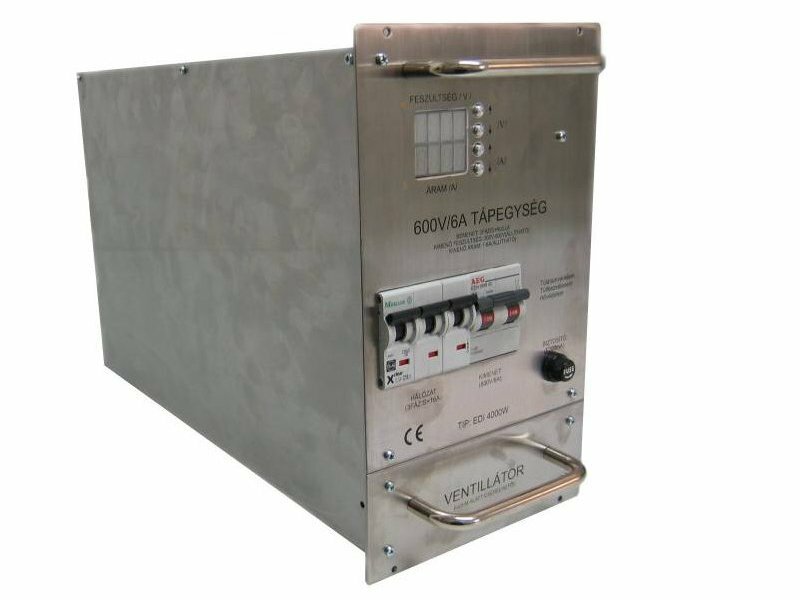 Introduction : this unit operates from the 400V triphase mains, and makes stabilized DC voltage for different loads(electronic apparatus, ohmic loads, batteries) and their combination. The unit can be operated in current generator mode. The output voltage and current controlled with the built-in digital voltage meter, with two line display, and the four buttons. The Min and the Max limits of the user adjustable range, and the steppings are optional for the user (within the total factory range), and are set in the factory. For optional battery charging, Timed charging mode, and Current sense charging mode are available. Operating temperature range:	 -20 - +40C. it overheats, the output current will be automatically reduced.